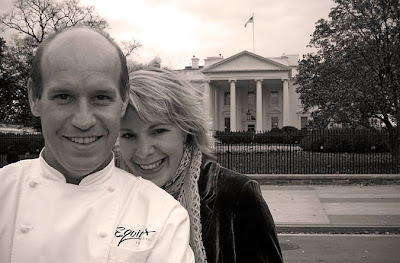 Today's edition of chef eats is a double dose from local food advocates and co-owners of the temporarily out-of-commission Equinox , Todd and Ellen Gray. Metrocurean was sad to hear the news, all the way in Asia, that Equinox suffered a bad fire Dec. 18. The Grays hope to reopen in mid February, and according to the web site, they are taking reservations starting Feb. 22. Wishing them a speedy and painless rebuild! I'm impressed that the Grays apparently frequent Spices, which is not the hautiest of DC places (although one of my top 3). For that I'm even willing to forgive her falafel semi-misstep and the mere mention of something from Lebanese Taverna. Best of luck getting back up and running!